Arts, entertainment industry veritable platform to grow GDP – Ambode – Royal Times of Nigeria. 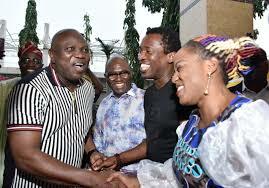 Lagos State Governor, Mr Akinwunmi Ambode has reiterated the commitment of his administration to continue to play up the arts and entertainment industry to grow the economy and positively engage the youth, saying the sector remains a veritable platform to improve the Gross Domestic Product (GDP) of the State and Nigeria. 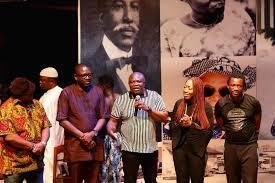 Ambode Speaking at the performance of a stage play – Oba Esugbayi, held at the Masonic Centre in Onikan, Lagos, Governor Ambode said since inception of his administration, conscious efforts had been made to invest in the arts and entertainment sector in view of its strategic importance to the country if the potentials were properly harnessed.